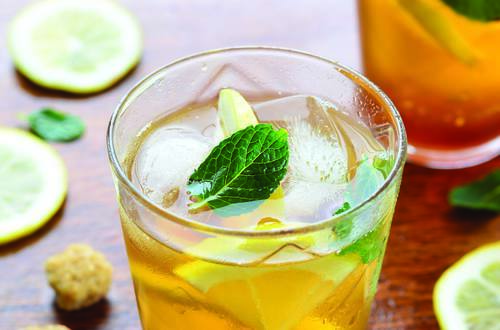 1 In a tall glass, add 1/4 teaspoon honey , 1/4 cucumber (small dice), 1 lemon (cut into 4 wedges) and 4-5 fresh mint leaves. Fill the glass half way with crushed ice and pour the cooled 1 cup of Lipton Mint Green Tea over it (prepared as per instructions on pack & cooled). Top with chilled soda. Serve with a straw.